WELCOME to the new Tall Mom Bloggy Pack members!! And a HUGE HUGE thank you to everyone who commented and email to the "Who are You" post HERE.. I have had a blast this week getting to know all of you and plan to use the links to come visit in the weeks to come. This week started with Jury duty, I got selected for a trial, trial was delayed, went back to work, had more work than I know what to do with, and have had NO TIME OR ENERGY TO RUN!! Hmmmmmm.... Not like me and not good. I have noticed that my mood and energy have totally decreased. I need running, it is a part of my daily life, and keeps me in a positive frame, physically and mentally. I vow today, not matter how busy, to get out and run at lunch.. This weekend however I am giving myself an out for the LONG RUN. 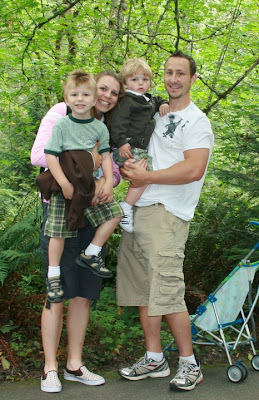 Muscle Man is taking the little studs to the in-laws for the weekend so we can celebrate our 7 year anniversary!! We plan to see a musical, have seafood, relax, run without the double jogger and just enjoy being together. We will run together, but I will not be getting up early to put in the Half Marathon miles... I want to run with my Muscle Man and just be with him... This also means NO COMPUTER! Giveaways!! Click on a link! Are you racing this weekend? Leave a comment so others can cheer you on. 594? 594? REALLY? 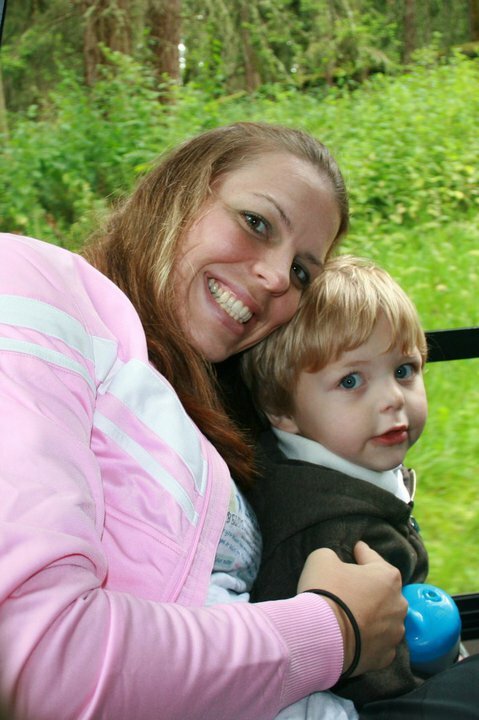 I feel so blessed to have 594 people who have hit the "Follow" button on Tall Mom to join the Bloggy Pack!! This week and the next couple weeks I will be a bit off my usual running, work, life schedule due to Jury Trial... BUT I would love love to spend this time getting to know YOU..
Leave a comment giving me a quick bio to introduce yourself. If you are a WA local please let me know :) If you have a Blog leave the link in the comment, that way others can get to know you too!! If you do not feel comfortable leaving a comment email me at tallmomontherun (at) hotmail. HINT- those who leave a comment on this post will be automatically entered in the next Tall Mom Giveaway.. Which is sponsored by CSN HERE where you can buy everything from LIGHTS to purses... You won't want to miss it!! 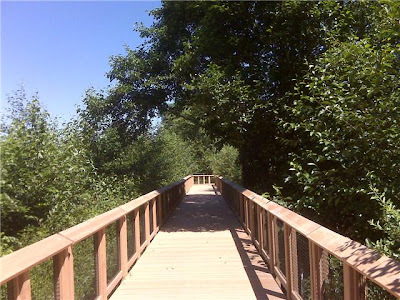 On Sunday my buddy Tan Jen (TJ) and I were able to meet EARLY for a 13.1 mile jaunt on our favorite trail. They day after my 5K, I probably should have taken it SLOW but Jen and I clipped along and ended with a 1:56 and some change Half Marathon. I felt GREAT up until mile 10 when my energy was totally ZAPPED!! Half Marathons 2 weekends in a row. 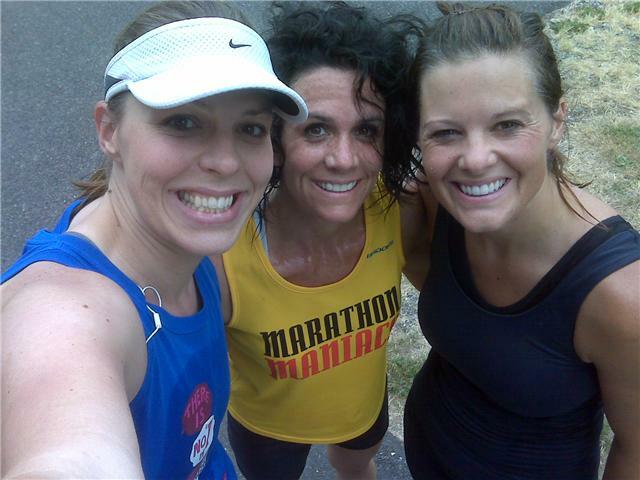 It is tough to stick to a Half Training plan when most of my running buddies are training for Marathons. I figure I will run the miles with them until they get in the 20's then have to go solo. 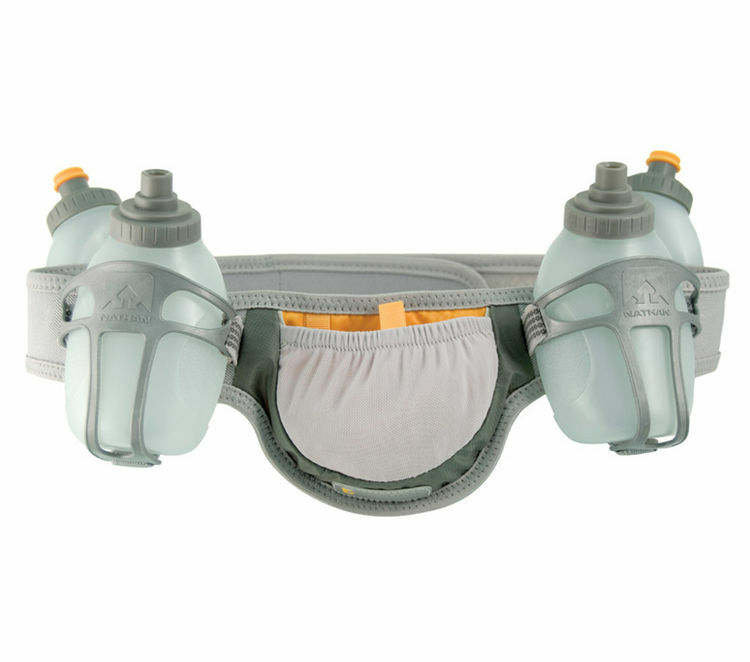 One GREAT thing on this run was my new Nathan Speed 4 Fuel Belt. Note the random dude on a bike in the photo, HI!! I own the 2 bottle version, the Speed 2 and I LOVE IT! But I need more water in the summer month and for anything over 10 miles. I was worried about the weight around my waist with 4 bottles, but this belt fit AMAZING and I did not notice it at all. I love my handhelds, but it was super to have my hands free. The front of the belt has a zipper pocket with I put my license, money and chapstick, I did not test my Blackberry in the pocket, not sure if it would fit?? But it was good to have my valuables zipped away. The back of the belt is all about RACING. 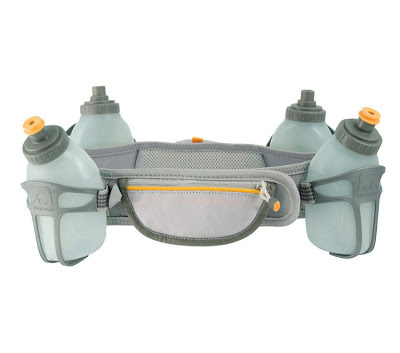 It has an easy open pouch perfect to easily access Gu's and chomps, I carried 2 Gu's and a sleeve of chomps and had lots of room. And there is a hook for a car key! The back 2 bottles are different than the front, the spout has a quick sip top for a fast drink and no fuss. I LOVE these bottles and am almost tempted to buy 2 more and have the whole belt with them. All in all I give this HIGH marks! I see many runs and races in my Nathan Speed 4 in the future. Visit the website HERE to learn more. 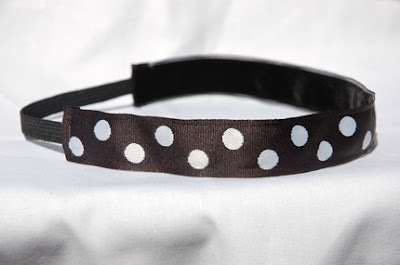 The Bloggy world has been ATTACKED by a trend, HEADBANDS! I love love my Bondibands, but this time of year it is a little too hot with my thick hair. So I was PUMPED to test this Cute thin headband from Deshler Designs HERE . I am generally a visor girl, but I think the Headbands are so feminine and cute! I have always been a bows in my hair type of girl (believe it or not). I braided my hair so there were no flyaways to hold back, the headband stayed put and looked CUTE! Speaking of CUTE, Emily is going to make our team "Will Run for Ice Cream" Ice Cream Ribbon Headbands. I am so excited! she is flexible and willing to work with you, so go to Etsy and SHOP!! Matchy Matchy! I have 3 pairs of shoes with red as the main color and 1 red tank top.. I will be reviewing Somnio shoes in the weeks to come, but first I have to wash my tank. I am soooo addicted to matching. I used to race in just Spandex compression type shorts, because I have Mommy thighs and I need to be comfortable. My FAVORITE pair is from Moving comfort HERE, the shorts are tight and long. Don't ride up and help alleviate chaffing. 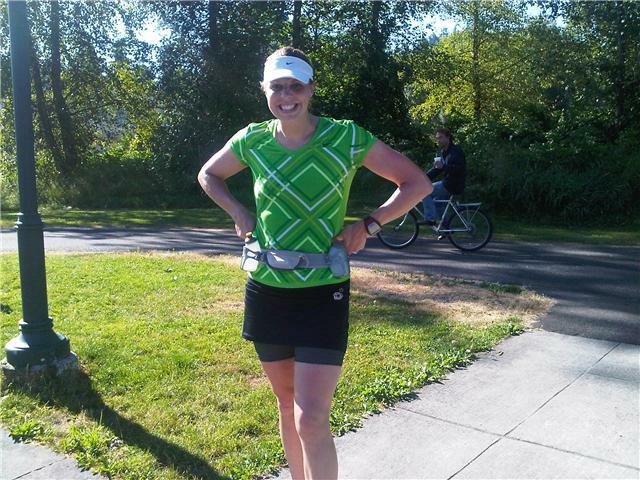 I could not wear running skirts without them. Paired together with a Skirt I feel cute and comfortable. 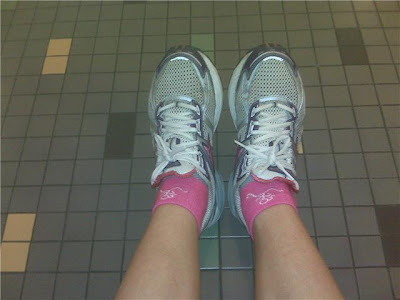 For my most Recent 5K I also wore the Bracelet that Gone For a Run Sent me to test. Mine says "Never Back Down," and looks like the bracelet above. It is almost like a hair tie and can be pushed up the arm if you want it tighter. 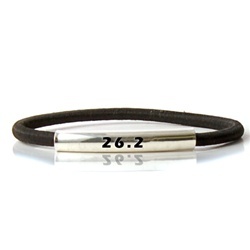 I don't usually wear bracelets in races, but sometimes it is FUN to have an inspirational message on the Run. Check out ALL of the Gone for a Run Bracelets HERE. If you LIKE Gone for a Run shopping check out Angie HERE and Melissa HERE, these lovely ladies are hosting Gone for a Run GIVEAWAYS!! not by eliminating our weaknesses." Have you ever thought about how your weaknesses can eventually become your strengths? I still remember when I threw shot put in high school. I could do the footwork. I tried but my body would not comply. This was a weakness for sure compared to some of the girls spinning around the circle. My strengths? Long strong arms and an explosive follow-through. I used my strengths, made up my own version of the footwork, and placed second in State my senior year. Why am I telling you this? First, because I have jury duty today so I only have time for a quick post. Second, and more importantly, to tell you do not eliminate your weaknesses!! Find ways to make your strength shine, learn from your weaknesses and keep moving! The night before the race was clear and warm. Full moon high in the sky before darkness set in. I snapped this photo of Mount Rainier from our back porch. Race morning I wore my Deshler Design polka dot headband HERE, running skirt and Brooks Green Silence shoes. The weather was perfect about 66', there was a large crowd when I checked in, so I thought it would be best to find the Honey Buckets. The men in front of me in line were FUNNY and noticed my bright shoes. With 10 minutes to go I was out of line and back with hubby, we snapped a couple photos. The race was even chip timed, VERY COOL!! It was pretty sunny, so we tried this photo again in the shade. Getting a 4+++ year old and a 2++ year old to pose for a photo is FUN (sarcasm). I decided to get in position early, I was alone until a beautiful blond woman started chatting with me. She had a bright blue shirt with sparkly glitter, my kind of gal!! She introduced herself as Erika, a nd let me know that she reads Tall Mom. AWESOME! I love meeting new people, we exchanged a High Five and I got glittered :) Pre-race sparkles. The race directors made an announcement about where the 6 minute miler should be and Erika left me. I was hoping for 6:45 pace, so I stayed up front. We were warned about the single track dirt trail...URGH! My Green Silence are road shoes, not dirt trail or gravel.. 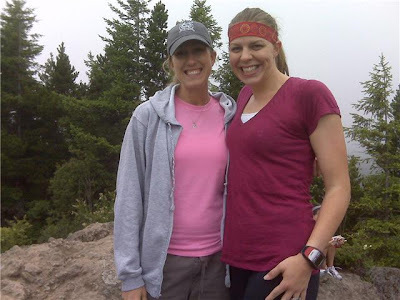 I chatted with a tall fit woman who was most likely in my age group. And we were OFF! The woman to the right of the photo is Delene, she is very lean and made for running. I WISH I could have kept up with her!! I positioned myself with young guys, fit older men and Delene, in retrospect I should not have been so close to the front. Once we reached the single track I noticed I was going WAY TOO FAST! This is a classic Tall Mom Mistake. I go out fast, then CRASH. Not a smart race strategy. 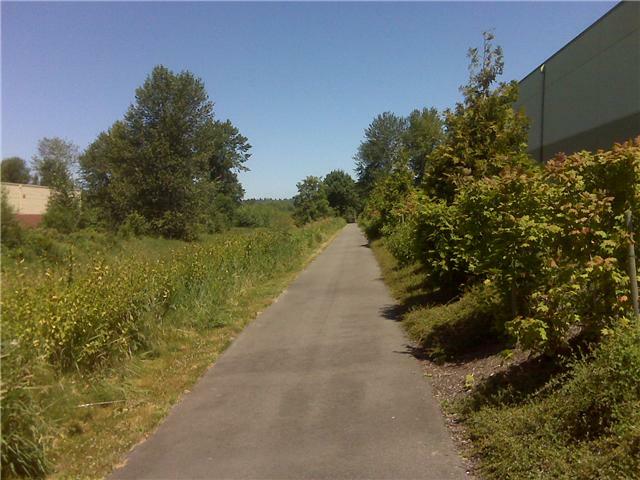 I slipped and struggled to find my footing on the little trail through the weeds. Once out I immediately got a side ache. Mile 1 chimed 6:26... Hence the side ache, that was 20 seconds faster than plan. Yep not even half way and I was STRUGGLING! Just then I was passed by two lovely blond teenagers. I wanted to stay in second, but my pace was slowing, I settled for 4th. The turn around a little backpack and I could not get my pace below 7's. Mile 2 chimed 7:18, wow I had slowed significantly. My confidence took a punch as a woman who appeared to be my age passed. I could not speed up! Erika passed on the opposite side and cheered me on, I wanted soooo badly to make her proud, I love that she took the time to cheer. I also spotted Sarah my Facebook buddy and former basketball competition in high school. Back to the trail and I stopped looking at my watch, I knew it was BAD! Another woman passed me. Defeated I TRIED to speed up. The last stretch was PAINFUL, why do I sign up for these races when I am not ready???? I have been training for Marathons, I need to rethink my training if I want to have a strong 5K all the way to the Finish. Although I did not follow my race plan, I finished with a race PR!! 21:38, which is 6:58 pace. I love that I could finish with sub 7's, although I wish it would have been consistent. 3rd in my age group and I think 6th or 7th female. Delene got a 20:01 and made her Grandpa proud, we chatted for a bit post race. The Little Studs were getting fussy, I like to wait for the announcements and to cheer others on, but it was clear our kids were DONE. Family had to come first. We perused the street fair ending with the Firefighter booth. The Little Studs each got a hat and badge and the GREAT Firefighter let the boys sit in the truck. All in all it was a fun day. I made a fatal mistake, but still ended with a race I can be proud of. I plan to work on speed and consistency to get ready for a comeback 5K in August. Hello Sports fans!! (I have always wanted to say that) And welcome to FRIDAY! This has been a LONG and busy week for me, so I am excited to unleash some pent up STRESS at my 5K race tomorrow!! 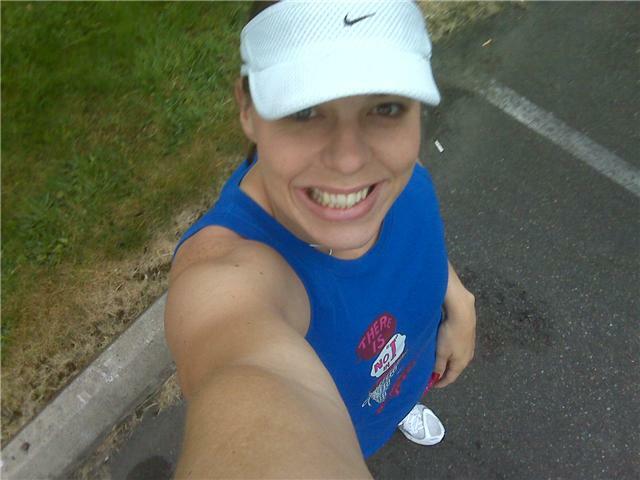 The little town of Enumclaw will play host to a 5K road race, if my legs don't give me issues I should get a PR!! When you wear shoes like these you are pretty much forced to run FAST. Yes Sports fans (there I go again) my Brooks Green Silence HERE will be making their racing debut tomorrow. With a matching red and black outfit. 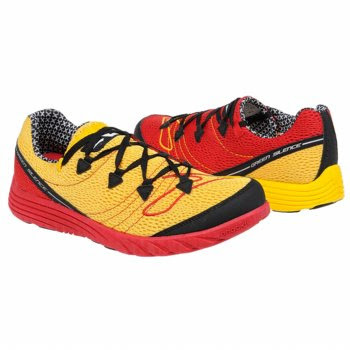 These shoes are super light weight and cozy, like running in nothing, perfect for a FAST 5K. My running has been less than stellar this week. Yesterday my awesome Boss bought the office lunch, SCORE!! 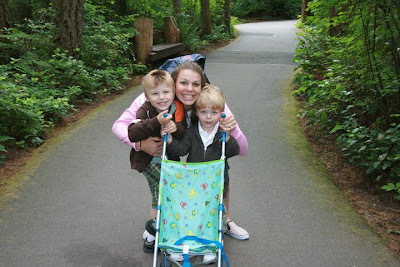 Then I got a text from my college buddy that she was bringing her 3 kiddos and hubby for a visit. No time to run, but so worth every non running minute!! My legs are WELL RESTED! Kate- Mud Mountain 5K Sat and Peach Pedal bike race Sun. Alisa and CONGRATS on the house!! What do you deserve a HIGH FIVE for today?? The WINNERs of the Lift Your Sole Giveaway will be announced HERE in the next few minutes. I will Accept entries to the Giveaway HERE until tomorrow morning at 7:00AM. So go HERE, Check it out and ENTER!!! Thanks to JILL at Lift Your Sole and her amazing talent. Go SHOP HERE! Wow I missed Tuesday, where did it go?? Well, I was SWAMPED at work and knew that I NEEDED to get off at 4:00 to make it home to host Tall Grandma's Birthday! HAPPY BIRTHDAY (yesterday) MOM!! Our new house is less than 3 miles from my parents which is AWESOME!! The lunch hour came and AC was ready to run. It is always fun to run with AC, he tells great semi-true stories and we laugh pretty much the whole run. The pace was pretty slow, but the belly laughs gave me a good workout. It was nice to have a partner through the SPOOKY WOODS. We finished with 4 miles and a good sweat. My work day flew by and I barely made a dent in my "To Do" list but I had to get home. Tall Grandma and Grandpa were bringing Teriyaki Takeout and Muscle Man made a cake. Tall Sister and Tall Nephew also came over so the Little Studs were in Heaven. We had a nice meal, gave Grandma her presents, and relaxed! Out new house is great for having guests over. Muscle Man is the birthday cake maker and he did not disappoint, I don't like chocolate cake but this cake was GOOD!! Thanks Honey! We all enjoyed the dessert then the fam headed home. After the cake and ice cream we were feeling a little over-stuffed. At 8:15PM we loaded the Little Studs in the jogger and headed out. Running at dusk is beautiful, the moon was out and the sun was starting to set with bright orange rays across the sky. AMAZING! We did a 2 mile loop and were home for baths. Do you have a running partner who makes you laugh? Tell me about him/her? What do you do to work off your cake? Tall Grandma and Grandma offered to watch the Little Studs so we could have a DATE DAY!! YIPPEE!! Thanks Mom and Dad!! 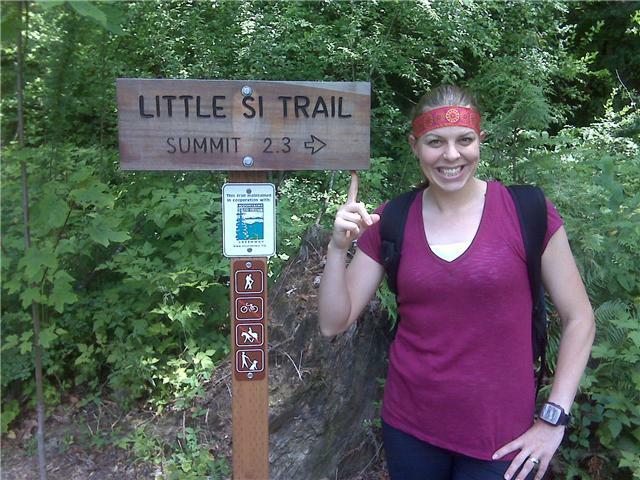 We are not ones to sit in a dark theatre on a nice day, so we researched local hiking trails and settled on Little Si in North Bend, WA. As LUCK would have it Amanda HERE and her family were there too!! The trail boasted beautiful views and a moderate to easy incline. It was an overcast day making the views less spectacular, but still AMAZING! This is the first view point not far from the parking lot. I bought the Good Band at Target. Muscle Man and I had grand plans to RUN/JOG the flat parts but instead enjoyed the green forest and each other's company. 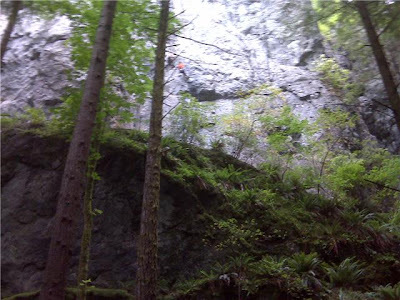 We nearly missed the climbers on the side of the rock wall. WOW! On our way up we talked, hubby can always make me LAUGH! It is fun getting lost in the woods with the one you love. I am AMAZED at how labored my breathing was, I can run a Marathon at 8:18 pace without breathing hard....but Hiking UP WOW! I thought about those who run these trails and the amazing shape they have to be in. When we reached the top there was Amanda, her family and Lazy Dog. We spent about 30 minutes talking, eating and enjoying the views. I had sooooo much fun with Muscle Man. He is hilarious, kind and a true gentleman. On tough parts he would go down first an offer a hand to help me down. Being in the pace and quiet with him for 2 hours was AWESOME! I wore my Garmin because I was curious what it would say. It said we went 3.44 miles, when the trail is 2.3 each direction. Hubby this it does not register the UPs, I think it is Garmin Gremlins. After the hike we went to a GREAT spot for lunch and devoured tasty hamburgers. What a wonderful DATE! 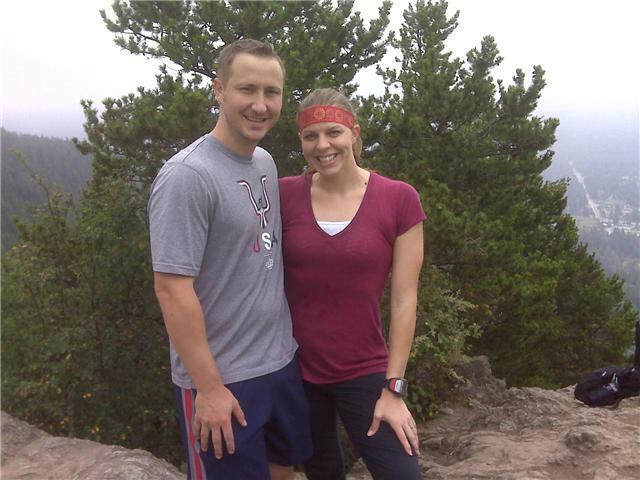 Young couple drinking Coors Light as they went up the trail. Can you say dehydration? Tiny girl carrying the BIGGEST walking stick she could find. College age DUDES hiking in Flip flops. A trio of girls singing like they were on American Idol. A couple training for?? They had huge jugs of water in their packs and emptied them at the top. That was our weekend. HOW WAS YOUR WEEKEND? PS. 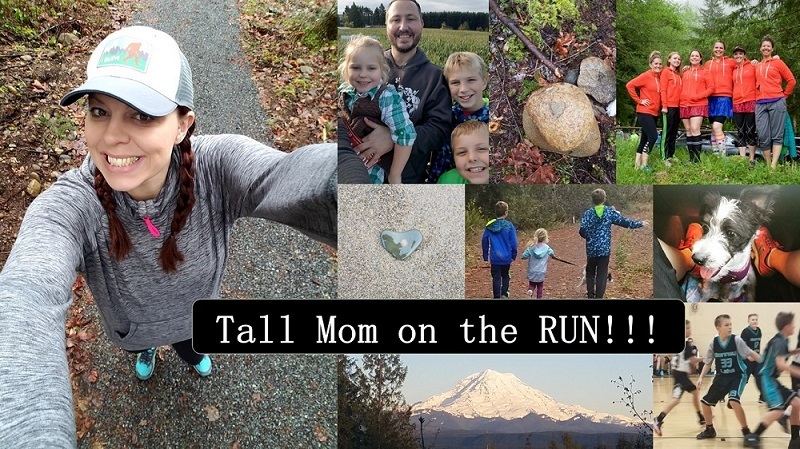 Check out Tall Mom Giveaways HERE for a great Giveaway from Lift Your Sole. I set out on my lunch hour to get the 5K done on the flat track I do my speedwork on. When I turned on my Garmin I knew I was in trouble as the Low Battery signal came on.. UGH!! HALF a battery. I hoped that Garmin would make it, so I set out for HALF a mile warm-up heading the the start line. My internal Race director said "Go" and I was Off! I felt STRONG but my new black tank kept riding up exposing HALF of my stomach. 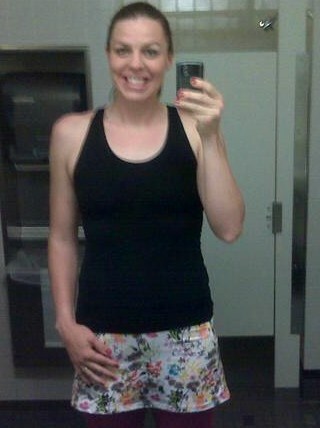 I tugged my Running Skirt capris up and the tank down.. URGH!! I was clipping along at .46 I looked down and Garmin had turned OFF! Imagine being in a race, the clock goes dead and all the mile markers disappear, all when you are on pace for a major PR! Needless to say I was HALF ready to cry. I finished my run at a slow pace and had to re plan my RACE strategy..
Will NEVER wear this combo again they do not play well together. SAD!! I wanted to get the 5K done.. Since I had failed to register a 5K time on Friday I had to combine both races today. I am the Virtual Race Director and I say it is OK (Hope G agrees) I was PUMPED that Janna (Lioness) and Jen (Tan Jen or TJ) could meet me. I felt a little OFF today, my Peanut butter toast was not sitting very well. I also had to carry my water because we would be out for so long. I normally would not carry water in a 5K. My plan was to warm-up with my buddies. Re-set my watch, run a FAST 5K and jog back to complete the Half Marathon with them. As I set out I QUICKLY realized I had not gotten my Ipod set, so I fumbled as I sprinted, ROOKIE mistake here! I have been training for Marathons, not 5K's my breathing was labored and I felt like I did not know what to do with my arms. SPEED takes time to feel comfortable and there was NOTHING comfortable about this 5K. First Mile 6:37, classic Tall Mom Mistake, I went out WAY too fast!! I tried to slow it down a little then went way the opposite, pacing for a speed I am not used to is rough. My legs don't know how it feels. I also realized the course I picked was slightly uphill, FUN! Second Mile 7:03, darn it I was hoping for sub 7's for each mile. I was tired, fading, the last mile felt impossible, I just wanted to be running in the 8's, not sub 7's. I could tell I was slowing and my mind was totally out of it, I was burping up Peanut butter and felt nauseous. Third Mile 7:17, good thing I ran that first mile so fast because I could not get my legs under me. At this time in a RACE there are people in front of me to pick off and a Finish Line. I spotted a tree and called it my Finish. Last .1 7:14 pace. 5K Results= 21:42 or 6:59 Pace and a PR!!! To PR in a Virtual Race on the 4th day straight of running, PRETTY COOL!! I am thinking of doing a 5K up the road next week, I am excited to see what I can do on fresh legs. It will hurt, but hey it is over and done so QUICK! I reset my watch, caught my breath and turned to find my buddies. I am hoping I won't be disqualified for combining the miles of both races, but after Friday it is what I had to do. Janna had said they would go SLOW, which would be perfect after a fast 5K. When I found the girls they were not going slow. About 8:40 pace and I STRUGGLED to keep up. I let them talk and settled in just behind. There were several runners on the trail including some Fleet Feet training groups. I LOVE TRAINING GROUPS!! The Fleet Feet Marathon training was how I connected with the AMAZING women I ran with today. We cheered others on as we passed and tried to stay out of the way of the bikers. It was an overcast and misty day, the temp was in the 50's which is PERFECT for a long run. I had my GoLite Handheld, some Gu Chomps and the NEW Orange Burst Gu. MY stomach started to ache and I felt like I was getting a calf cramp, but I pushed the thoughts aside, I was too far from my car to let the pain in. I was ZAPPED, did not care about pace, all I wanted to do was FINISH! The ladies planned to do 12, but were kind enough to add a mile for me. "I JUST WANT TO BE DONE!" I said. I am guessing that SPRINTING before running 9 more miles is not the wisest thing I have ever done. With my Garmin not matching theirs we ended with 13.4 miles and a GREAT run! GREAT for a training run after a 5K. I have not put in this kind of miles since Seattle Rock N Roll Marathon. I am hoping to keep up the Long runs on the weekends to PR in a Half Marathon the next few months. SPECIAL Thanks to my buddies for their support in this RACE..
After the Run Janna and I walked to the nearby Latte stand for a pick-me-up, she was a dear and treated me to a tasty White Mocha Granita, THANKS JANNA!! On our way back to our vehicles I heard "Tall Mom!" Turned to find Kara walking toward us. 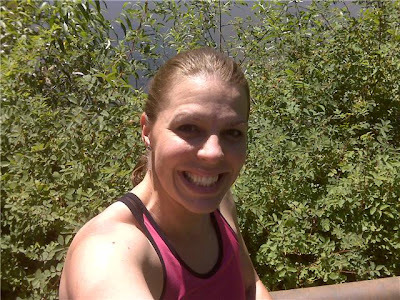 Kara is a local runner, Bloggy and Facebook buddy, who is training with Fleet Feet for the Run Wild 5K. I love that she introduced herself and that I could meet someone new in the SMALL town of South Prairie, what a hoot!!! See you in September Kara if not sooner. Did you run the Virtual Half and Half? If so, how did you do? Hope you did not have CHALLENGES like me. FIRDAY FRIDAY FRIDAY!! Can you tell I am excited??? It has been a long week and I am ready for some down time..
TMB at Racing With Babes had a GREAT idea, she took a before picture and another picture every time her Garmin chimed for her 8 Miler HERE. I didn't have an 8 miler on the plan but I had a SLOW 4 with my running buddy AC. Mile 1: I plan the routes so we took the scenic route. The miles passed quickly as AC and I have not ran together in a long time. The wood plank bridge that winds through the swamp is the COOLEST. Kerrie and I found it together on our first running adventure. Mile 2 and heading back toward the bridge. I recently found a nice Out and Back that equals about 3 miles and is mostly shaded. SCORE. Mile 3: I dropped AC off at the building and headed out to complete my run. I did not have my Ipod and the trail through the woods was covered with little leaves. For some reason I was spooked the whole time, so I sped way up to get out of there. Mile 4: Can you see the women walking 4 across? I did not want to yell "On your Left" so I went around them on the gravel and nearly scared one to death.. My thought? Don't take up the whole path!! After glistening and ready for a shower. 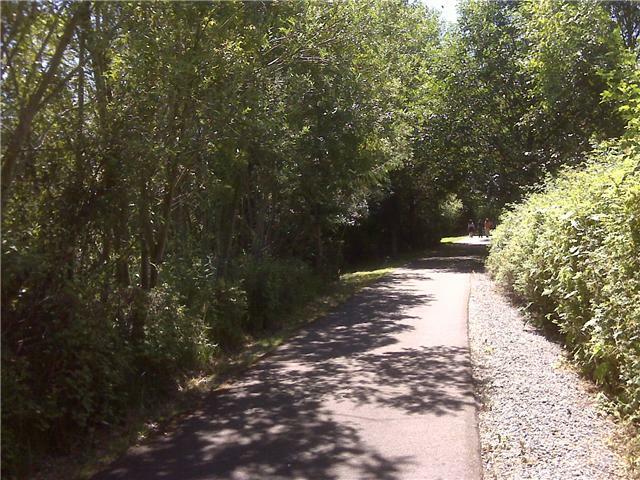 In the background is a little pond that the trails loop around, very tranquil. And for TMB just look at my AWESOME socks from Gone For a Run HERE. These Fuschia socks are comfortable and very CUTE!! A good way to complete the outfit on a HOT Day. Like this idea?? Try it yourself and make sure you let me and TMB know when you post on your Blog. X-Country 2 Welcomed BEAUTIFUL Twin boys to the world!! Special Thanks to Allie HERE for letting me copy her EXTENSIVE sidebar Gift List. THANKS ALLIE!! **Some Giveaways may end today?? Do you like High Five Friday? If so, you will also like what some Tall Mom Bloggy Buddies are doing. **And I KNOW there are more!! Anyone who tells you that running is easy every day is full of it. I love to run, it is a part of my life, a habit, a life choice, a passion. But it is NOT easy. There are days when I barely notice my feet hitting the ground, where body and mind connect and I glide through the miles effortlessly. Then there are days when it is TOUGH.. Yesterday was one of those TOUGH days. I was stressed and busy at work so I failed to consume my morning snack (Mistake #1). I knew I needed to get my 5 miler in, so I go dressed in Nike Tempo shorts without body glide (Mistake #2). I have not been feeling well, I think it is allergies but I have not seen the Doctor (Mistake #3). Off I went on my pretty route and immediately the shorts rode up....UGH!! I need Body Glide, what was I thinking? I was clipping along hoping for sub 8's when I felt my energy totally ZAP, I was only .6 into the run... What the? Oh yes..
No Snack= No fuel= TIRED!! Too late to fix that mistake I fought through the urge to lay in the grass and call it a day. I slowed the pace and hoped I could get a second wind, then my eyes started to get foggy. I am allergic to something in the air right now, but what?? URGH..
Foggy head, heavy body, chub rubbing raw, I was a MESS! This run was TOUGH. 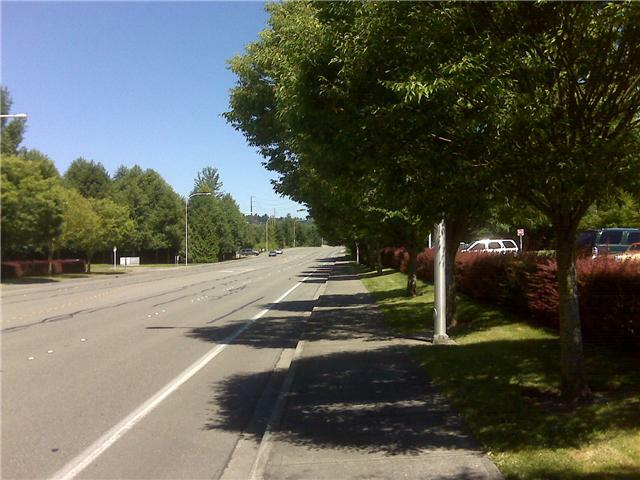 My route took me past my office, I wanted to cross the street and hit STOP, but I am TOUGHER than that. It is the days when things are not easy that build the mental strength to endure. When everything in you wants to STOP, but you keep going. You make the choice to make yourself better. I passed a guy with 3 shopping bags drinking a beer, lots of semi-speed walking women and the BEAUTY of green trees. I made it back 5 miles done, 5 TOUGH miles. As I walked in my office building a man that I respect looked at me and said "I admire your perseverance." I shyly said "Thank You." Those words hit home....what if I would have called it quits at mile 2? He would not have know. But I was TOUGH, I persevered, and those 4 words cemented it home. On the TOUGH days I like to self-assess to see if there is something I can do in the future to make it better. What did I learn? Eat my snack, wear body glide or spandex, and go see the Doctor about my allergies. What tricks do you have to persevere through those TOUGH days? Life is full of ethical dilemmas. You chose to act or stand aside, follow the Angel on your shoulder or the one with the red tail. Have you ever thought about some of the Ethical things that come through in Running, Racing, etc?? SCENARIO #1: You are running a 5K race, a section of the course there is a repeat out and back stretch. The course is not well-marked but you know that more mileage is needed before the Finish. You head left to the out-and-back but you notice some racers head straight to the FINISH. When the awards are handed out you notice that some racer who did not run the full course are receiving prizes nudging out those who ran the full 3.1 miles. SCENARIO #2: You are at a Race Expo and notice someone with an over-stuffed bag, upon further inspection you see that person is taking 3 or more of each free sample. At one point there are a few samples left on the plate and this person clears the plate leaving none for you. You shake it off then notice the same person take something from a vendor that is not FREE. Pick one or both Scenarios to answer and BE HONEST!! It will be fun to see the approaches that people take to each Scenario. HAPPY WEDNESDAY!! I am hoping to get in a GOOD RUN today, I missed my first run of Half Training yesterday do to an AWESOME lunch meeting and a sick Muscle Man to take care of at home. Thank you for your comment and for letting me know the power of the written word. I truly hope that I did not offend you with my description of you in my Race post. I liked your hat and your red hair, you have a unique style that sets you apart. It is such a small world, you and the barefoot guy with the Dog (Hi Sean!) both read the Race Report. Thank you both for your comments, he said that some people did not run the whole course... URGH!! Amazing that was your first 5K!! CONGRATS on a strong pace and pushing yourself beyond your limits. Keep up your training there are some amazing 5K races in this area. 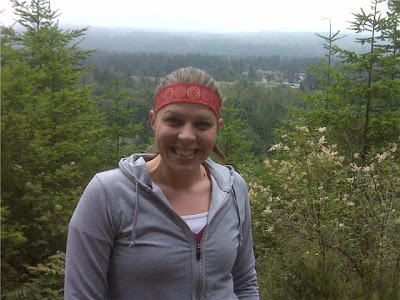 The Snoqualmie Railroad days 5K is coming up and it is a GREAT flat and scenic course. If you need any training plans or info please email me tallmomontherun (@) hotmail. I am glad that I could be a part of your first 5K, I just wish I had been more aware of you, I did not even look back :( In fact I thought you were an adult, I had no idea you were young until you passed us. I feel this was a missed opportunity on my part and for that I am sorry. I could have cheered both of you on. KEEP Running!!! You will be amazed the things you can see and the people you will RUN into. Good luck in all that you do, keep that COMPETITIVE fire going, even if it leads to heavy breathing, you will know you gave it your all and that is GREAT! PS. Don't buy a new hat!!! Be Unique and be you!! The wonderful folks at Little Looster contacted me to have the Little Studs test their product. As an extension of the toilet, the Little Looster never needs to be shuffled around the bathroom. 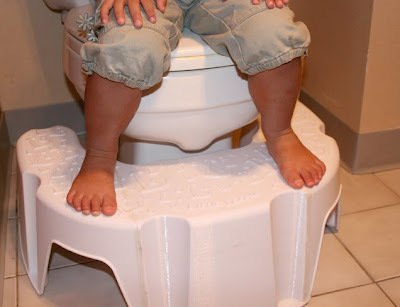 All grown-ups can use the toilet while standing or sitting without needing to move it out of the way. 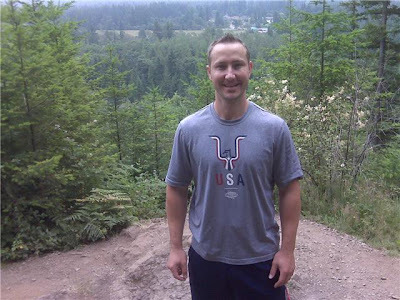 The inventor is a mom of 3 based in Portland, OR and the product is created in Oregon!! Tall Mom Thoughts:Little Stud #2 is getting VERY close to potty training. I am excited to use the Little Looster for his comfort. Little Stud #1 also likes to have the Little Losster around the toilet for his comfort. 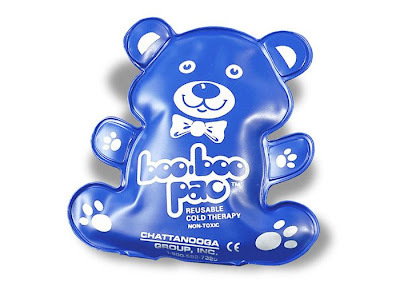 My only gripe is that we only have one guest bathroom, and while it is very easy for adult to use the toilet with the Little Looster there, I do move it when we have company. Once we have a guest bath this will not be an issue. We have also used the Little Looster as a step stool for tooth Brushing. Last year Muscle Man surprised me with the frame above for our anniversary. I love that he took the time to take care of my medal and race number. I REALLY REALLY want to do this same thing for my Eugene and Rock N roll Marathons... BUT wow would that take up a lot of wall space. Since I have been running for only about 2 years I don't have too many medals (they don't give many medals in WA). Eventually I would like to come up with a GREAT way to present race bibs, medals, pictures, etc.. for now, above is my Muscle Man's idea. Your first Marathon or race? Why not make something special to commemorate the event? You can do it yourself for not too much $$$ and it will be a treasured for years to come. It is HOT!! Well not really, it was in the 90's last week which is HOT to us in WA. I have some great T-shirts from Brooks but I am in desperate need of Tank Tops. What running Tank Tops do you wear? Any favorites? 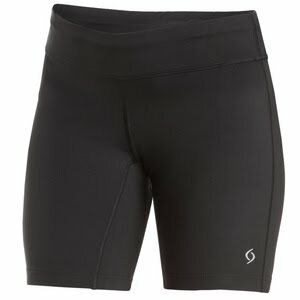 I have tanks from Brooks, Sugoi, Lucy and others...and have recently purchased a couple at Marshalls. I want long waisted, versatile colors and preferable bra included. Any thoughts? I am in the middle of "Born To Run" that my buddy Jill bought for my birthday. Much of the book is focused on trail running. Reading makes it seem so serene and almost easy. However, when Muscle Man and I went hiking a while back I was huffing and puffing, good thing there were no houses around.. LOL.. I cannot imagine running up and down that kind of steep terrain. Folks like Steph HERE and Shelly HERE conquer these events. I may do a Road Ultra someday, or possibly a SHORT trail race SLOW and trying not to fall on my face. But I am not sure this 6'o oaf is ready for Trail racing. Thoughts on Trail Ultras? If you have a product you would like featured on Test Lab Tuesday please email me tallmomontherun (@) hotmail. My porch and mailbox are going to explode with some fun fun new products to TEST, so stay tuned in the next few weeks. On Sunday morning I met my Fleet Feet Training buddy Tammy at 6:45 (UGH) to go for an 8 mile run. It was foggy and misty but warm in the 60's. We set out near my favorite 8 Foot latte. Conversation flowed and the miles passed easily. We RAN into a few friends from Fleet Feet including one of our Marathon coaches who is just back from an injury. I am still feeling fatigued, but running with my friend helped so much. We finished with an 8:44 overall pace, GREAT for going into Half Marathon training. My new PLAN starts this week!! I am excited to have a plan again, to check off the boxes and work toward a goal. Today I hope to merge some ideas and print out the FINAL Half PR training. If you recall last year at the Run Wild 5K at Northwest Trek HERE I took 2nd overall and 1st in my Age group. 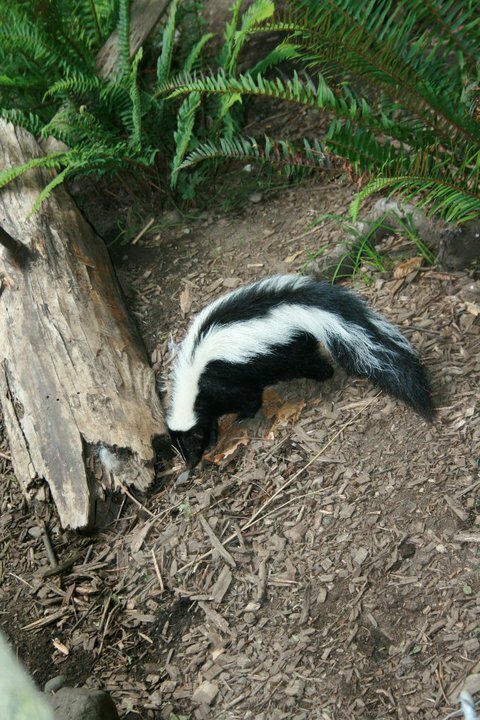 While I was sorting through some race bibs and awards I found 2 free passes to Northwest Trek (a free-roaming Northwest native animals park).. OOPS! The passes would expire in September so I told Muscle Man. I walked in the door after my 8 mile run, went immediately to the shower and was back out the door within 30 minutes. Backpack full of snacks, drinks, camera, diapers, etc.. This shorter race training stuff is GREAT! I can run for just over an hour and still have the time and energy to go on an ADVENTURE with my family! Me and Little Stud #2 on the tram ride. He is so busy that it is hard to keep him still. Thankfully I had fishy crackers, a banana, and granola bar, the food seemed to help. Walking around the lush green park is so beautiful and RELAXING. 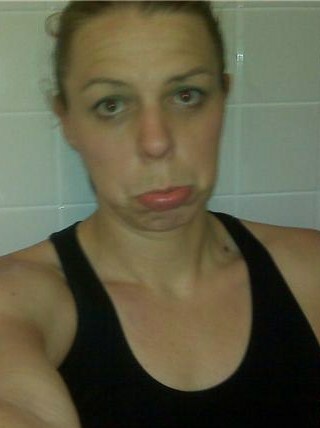 This is ME after a Marathon or long run.. LOL! One of Sam's cousin's perhaps. 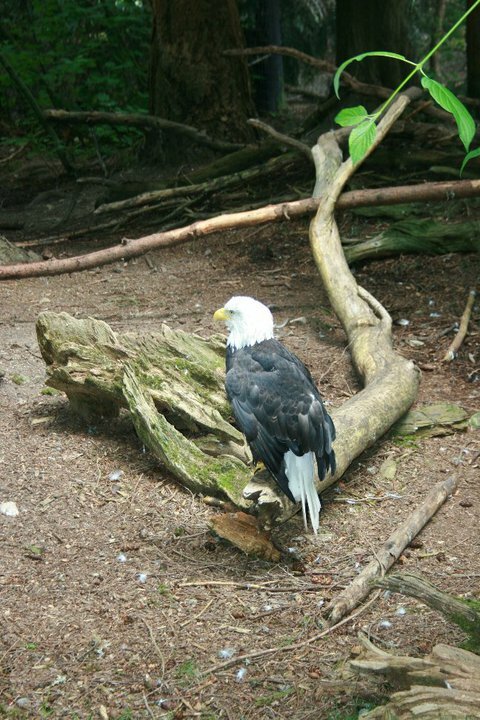 These Eagles are flightless sue to injury but are kept safe within the park. Self-Timer family photo :) It was a GREAT family day. The boys had a blast and I loved watching them learn, explore and be kids.. The price at the park went up so the 2 passes saved us $32!! SWEET right? Have you ever won something in a race that your whole family could enjoy?